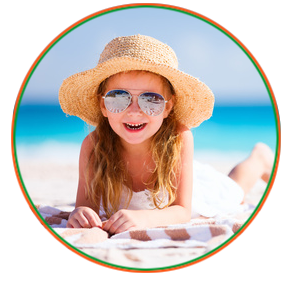 Our beach is equipped to cover the needs of even the youngest customer. In a particularly well-groomed environment you will find an infant changing table which ensures your privacy. The play area on the sand will entertain the children with all the "little animals" that live there and the mini-club is designed for learning by playing with a focus on ecology. You will also be pleasantly surprised in the restaurant, where you will find menus designed for children.